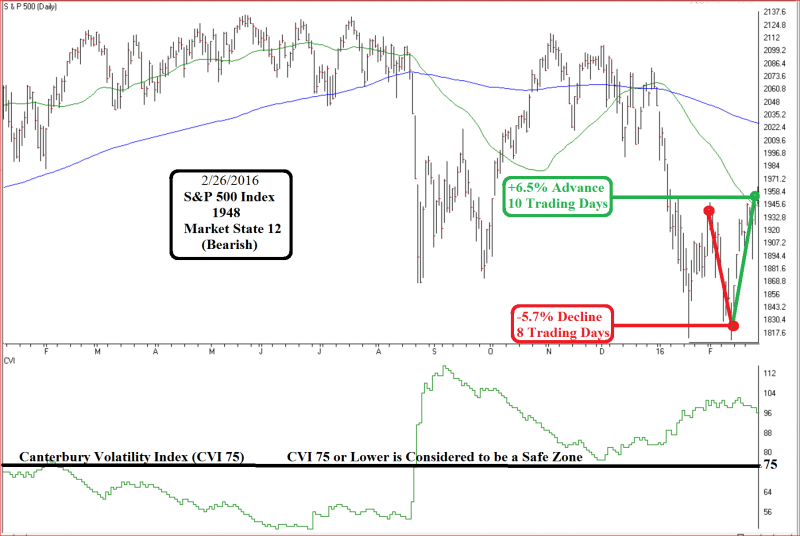 Market State 12 – Confirmed/Bear: The Portfolio Thermostat has been in one of the “Transitional/Bearish Market States, now confirmed “Bear” Market State, for the last 120 trading days. Canterbury Volatility Index (CVI 96 - Bearish): Volatility, as measured by the CVI, declined just a fraction, though the current level of volatility remains high. This is reflective of a high correlation among the S&P 500 stocks, resulting in a loss in the benefit of diversification. Overbought/Oversold Indicator (96% overbought - Short Term: Bearish): A reading of 95 or higher, either overbought or oversold, is considered to be an “extreme” level. The most likely direction from here is sideways or down. The S&P 500 was up +1.6% for the week and is up +6.5% over the last 10 trading days. This sounds very impressive, but unfortunately, large gains over short periods are a primary bear market characteristic. Many have already forgotten that the market had previously declined -5.7% over an 8 day period before that. Year-to-date, the S&P 500 is down -4.7%. Bull markets tend to behave in a more methodical manner. For example, bull markets rarely have trading days that exceed more than 1.5%, up or down, from the previous day’s close. When a rare one-day outlier over 1.5% does occur, it would be even rarer to see another 1.5% or greater day any time soon. This is definitely not the case for the current bear market environment. For example, year-to-date, through last Friday, the S&P 500 has recorded 27 of 38 trading days that have exceeded 1.5% either up or down. This trend of large one-day swings in price have been the norm since late August of last year. Bull markets will see most major market averages in uptrends with most stocks experiencing a rising tide lifting all ships. This is not the case today. For example, the Russell 3000, representing 98% of the U.S. equity market’s capitalization, has over half of its stocks down -30% or more. The most recent advance was led by a reflex rally of the most beaten down stocks in the weakest Sectors, such as Energy, Basic Materials, and Financials. This is another classic bear market characteristic. 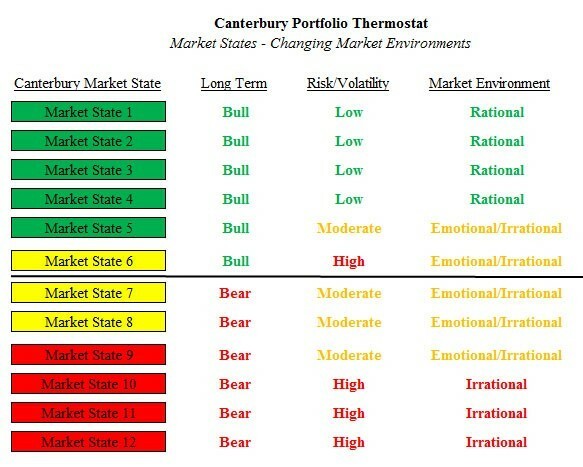 Canterbury’s Thermostat portfolio remains in one of the bullish “Portfolio States.” The portfolio has not experienced a single day with a 1% fluctuation since the beginning of September, which is reflective of a stable and efficient portfolio. 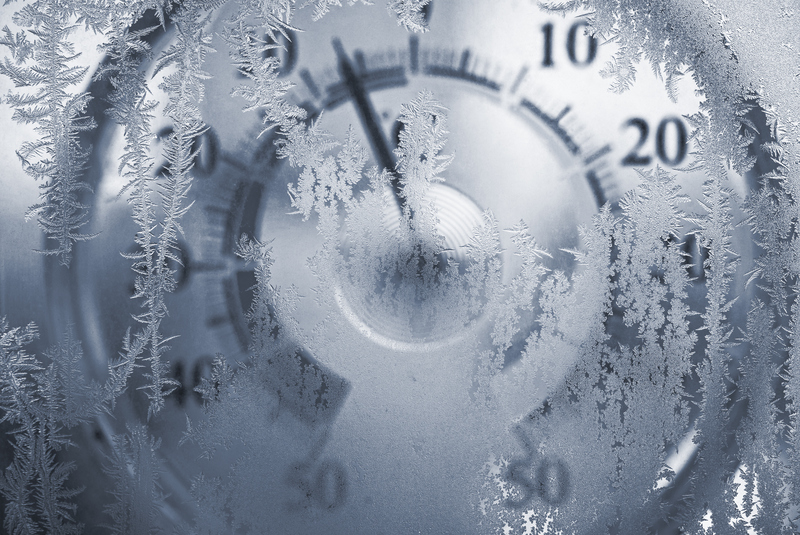 The Portfolio Thermostat’s algorithms generated four transactions last week to further improve the portfolio’s structure to match the current market environment.